Get over $100 in eCoupons on your favorite brands like P&G eSavers every month with Load2Card—no paper and no hassle. Your username may be in the form of your email address, and may be different than your Plenti.com login. 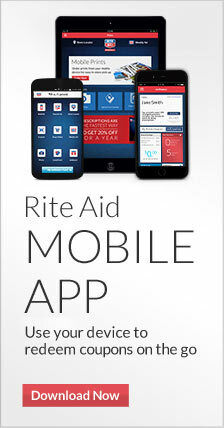 Simplify your Rite Aid online account login. We will pre-populate your user name and only require your password to login. When you select Remember Me, Rite Aid will install a cookie on your computer. Enroll in wellness+ rewards and save even more with Load2Card.